Venue: Czeczotka Mansion, 2nd floor. Exhibition open since 23 to 29 October 2017. A light installation inspired by the mood and the atmosphere of Joseph Conrad’s story The Heart of Darkness and the leading theme of this year’s Conrad Festival – Unrest. The installation is a result of cooperation between the Patchlab Digital Art Festival and the Conrad Festival. Their meeting was a unique opportunity to seek common areas of interest on the border of literature and visual arts using new audiovisual technologies. 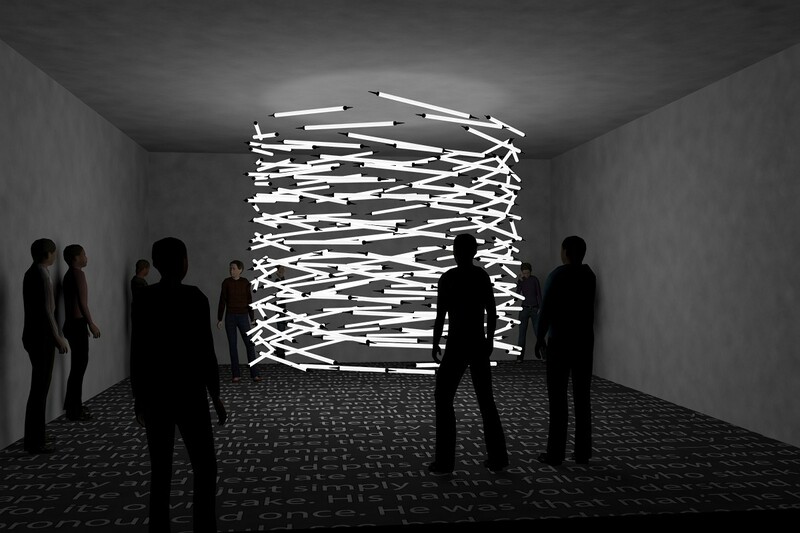 The Dark Matter installation invites the viewer to a mysterious and unknown world. As you enter the space of the installation you will see an interactive light sculpture in the foreground, reactive to human presence. It changes its form through modification of activated lights depending on the number and position of visitors. The sculpture is immersed in the movable text which seems alive and volatile. The world we see is filled with ambient sound, to enhance the impression of being separated from reality and hovering in a mysterious, dark and disturbing dimension. The installation is a joint project of the Hungarian visual artist Viktor Vicsek and Elektro Moon, a duo of new media artists who live in Krakow. The project is a result of international cooperation between the Patchlab Digital Art Festival, the Krakow Festival Office and the Hungarian Institute of Culture in Warsaw. 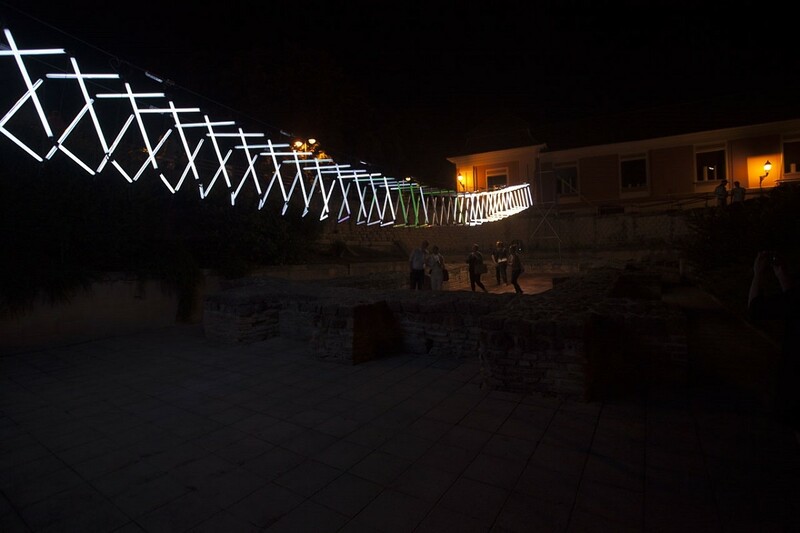 Viktor Vicsek – a Budapest-based artist active in the art of light, specialising in interactive design. From 2006 to 2011 he was the head of a creative group of programmers at the Institute of Computer Science and Control of the Hungarian Academy of Sciences. Since 2014 a lecturer at the University of Applied Sciences in Budapest. A co-founder of the Limelight design group in Budapest, now celebrating its 11th anniversary. 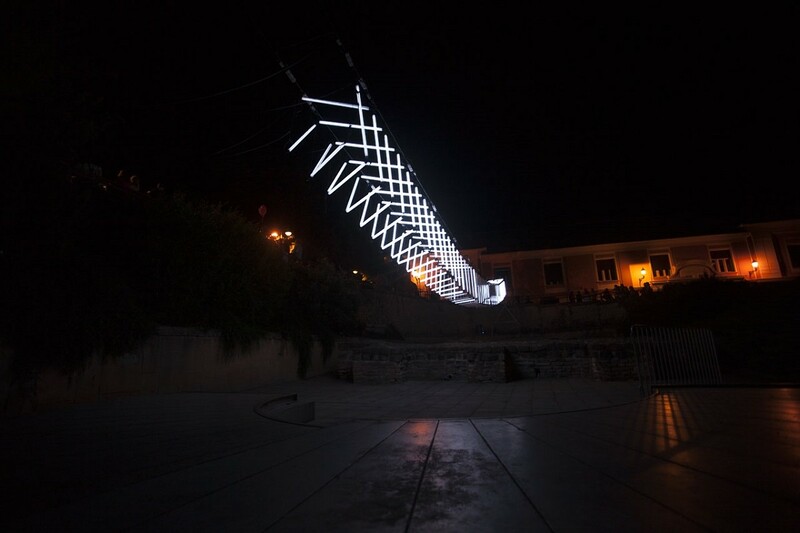 In his projects he focuses on architectural aspects of illumination, projection and three-dimensionality, creating astounding light installations. 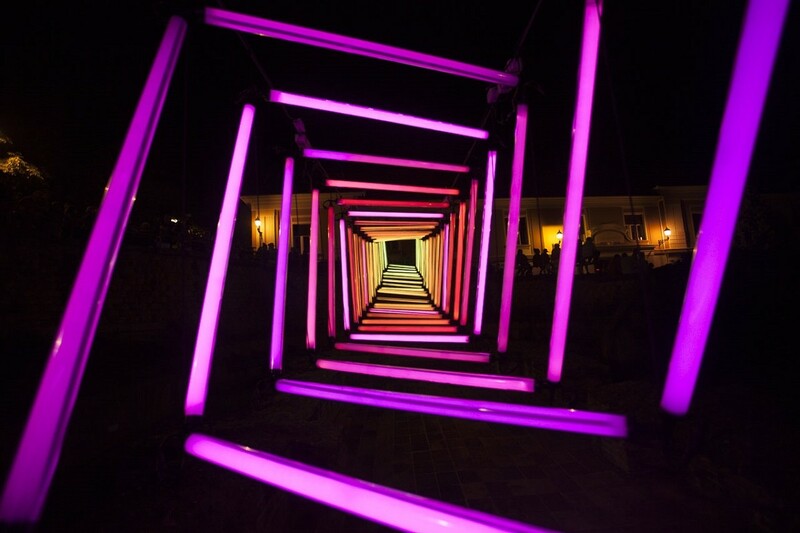 His works were show at the Amsterdam Light Art Festival, Bella SkyWay Light or Sharjah Light Festival in United Arab Emirates. Elektro Moon Vision – a duo of new media artists who combine creative coding, design and the art of light in their projects. 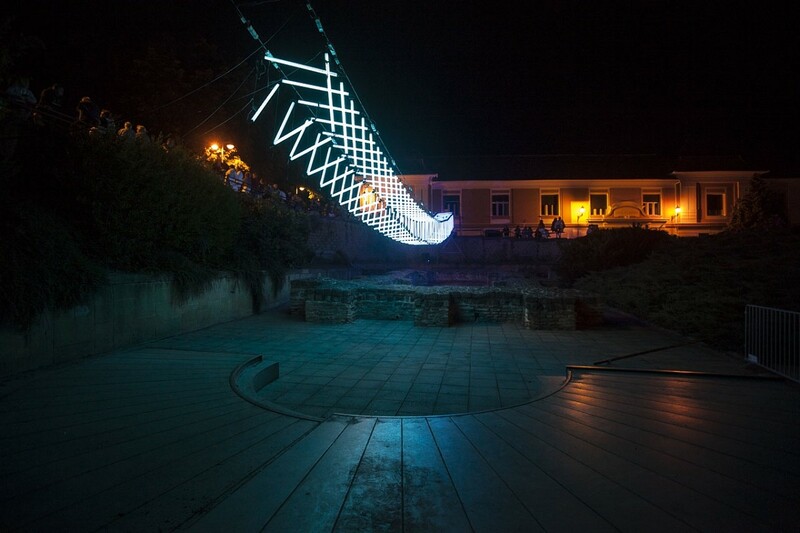 Their portfolio includes interactive installations, projection-based stage design projects, including 3D mapping. Their projects have been shown at many international events and digital media exhibitions throughout the world: in Salon Projektionist Gallery and MuseumsQuartier in Vienna, Akarenga Soko gallery in Yokohama, Japan, WRO 2011 and 2015 International Media Art Biennials, TADAEX in Teheran, PdCon in New York and many more. In Krakow one could see their visualisations live during Unsound 2016 and other events. Initiators and organisers of the Patchlab International Digital Art Festival.